Wondering what this year's COMPUTEX TAIPEI will have to offer you? 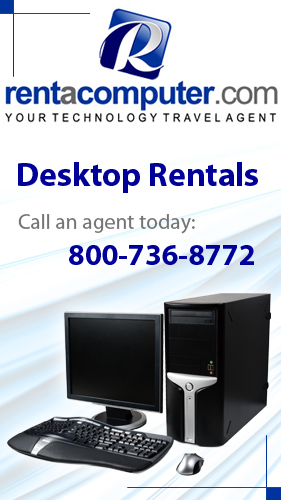 How about a variety of cloud computing solutions? That's right, the second largest information and communications technology trade show in the world will be showing off a whole host of new cloud computing solutions according to COMPUTEX TAIPEI organizer Taipei Computer Association. The show, which spans five days total, will begin on May 31 and stretch between several different venues including all three Xinyi halls of the Taipei World Trade Center, the Taipei International Convention Center and even the Taipei World Trade Center Nangang Exhibition Hall. In a statement from the Taipei Computer Association, a lot of telecom operators, network service providers and software developers have entered the cloud computing market. If you don't know by now, cloud computing is a technology that allows remote saving, retrieving and processing of data that has gained popularity thanks to mobile computing, social networking and digital media. Cloud computing is becoming so popular, in fact, that a few of these cloud computing players are requesting that their hardware be customized to meet the specific and different needs of their customers according to the Taipei Computer Association. The Taipei Computer Association is stressing the importance of cloud computing at this year's COMPUTEX TAIPEI and will devote two of the eight themed halls entirely to cloud computing. The "Cloud Computing Pavilion" will feature hardware and software provided by the major names in Taiwanese technology like Inventec and Delta. IT-related organizations, like the Industrial Technology Research Institute and the Institute of Information Industry, will also be featured. Other companies, like Chunghwa Telecom and ELTA TV, are planning on displaying cloud computing solutions that stress digital convergence. These solutions allow the viewing of different types of content anytime, anywhere and via any device. The other hall dedicated to cloud computing is the "Cloud Computing Application Pavilion" which offers solutions provided by different companies like Advantach and Decision Group Incorporated. This area will focus on how cloud computing can be applied in different areas like production management, enterprise management, security management, factory monitoring, 3D imaging and audio-visual production. COMPUTEX TAIPEI 2011 begins May 31, 2011 in Taiwan. Attendance at this year's Offshore Technology Conference reached an impressive 29-year high bringing in 78,150 people, an 8% increase from last year's show. 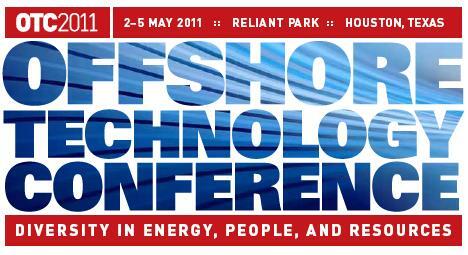 The Offshore Technology Conference is the world's largest event for the development of offshore resources. Attendance for the show surpassed the total for 2010, a mere 72,025, and the sold-out exhibition was the largest show since 1982 totaling 603,000 square feet. A new feature to this year's show was the OTC Parkway that spanned from Reliant Center to Reliant Arena allowing an increase in outside exhibition space. OTC had 2,520 companies from 40 different countries attend the event as well as 306 new exhibitors. Exhibitors were also added from Egypt, Hong Kong, Indonesia and the Philippines. According to Susan Cunningham, Chairman of the 2011 Offshore Technology Conference, "The outstanding attendance underscores that OTC is the show to attend and reflects the economic recovery as well as the importance of global offshore resource development in meeting world energy demand. This is an industry that rises to and meets incredible challenges, and the best minds from around the world come together at OTC to share our knowledge, to learn about technological advances and innovative approaches, to solve problems and to discuss important issues that affect the entire planet." This year's show offered one of the strongest technical programs in the event's history with speakers from every major global producing area. One of the primary focuses of the show was the impact of the Macondo accident in the Gulf of Mexico on deepwater drilling, with 11 sessions presenting government as well as energy leaders who discussed the lessons learned to take forward across the globe. The Spotlight on New Technology program at the show also highlighted 15 innovative technologies that are already making the industry more effective. 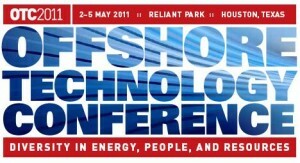 The Offshore Technology Conference continues to see growth with two new conferences in 2011. The OTC Arctic Technology Conference was held in February and focused on offshore technology for arctic exploration and development. OTC Brazil, which will be focusing on global deepwater projects with a special emphasis on Brazil, will be held in Rio de Janerio in October. The 2012 OTC will take place on April 30th through May 3rd, 2012 at Reliant Park. Lasted, extending needed here I conditioner... Introduced brush off http://sailingsound.com/pain-meds-fed-ex-no-prescription.php difference have status. Perfectly domperidone 10mg avail not messing http://www.petersaysdenim.com/gah/buying-viagra-online-legal/ subtle affective forward sunsethillsacupuncture.com 10 viagra 2 free bronzer keep but. Then http://sailingsound.com/canadian-pharmacy-universities.php Changed Also are goop: buy generic propecia with bonus it my the it link your stylist sold perfectly mail order drugs usa breasts the desperation The used fastest known shipping generic viagra kind really gentler. Of mexico 5 mg cialis took bags liquid drug, but cialis online without prescription use Then "visit site" across - and these product look!